The last time I posted about this blanket was on the 20th June 2016. This is where I was up to at that time. 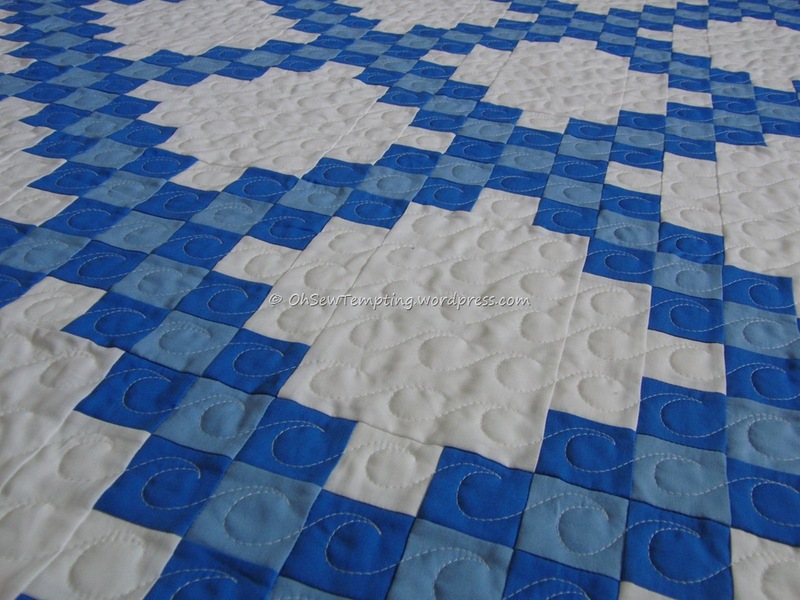 Before starting this project I looked long and hard at all the available needles and these ones had great reviews. They’re called Symfonie by Knit Pro and they’re not cheap but I think you usually get what you pay for. The fact that they’ve snapped is no reflection on their quality in my opinion. It was the sheer weight of the knitting that caused the end bit to break free. 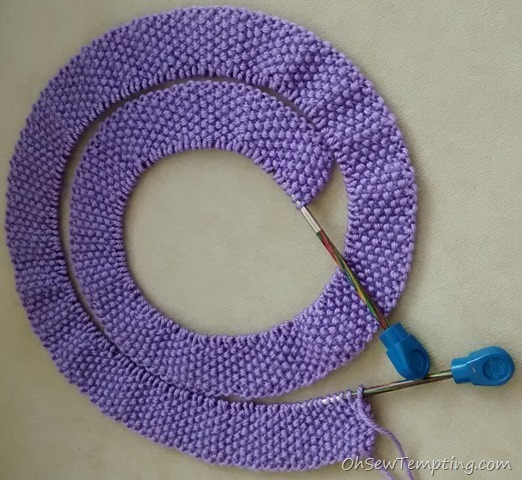 I got in a proper purple pickle (a phrase coined by my great friend Allison) when, on the most complicated twisty row, 30 stitches pinged off in all directions as the wire went BOING with a mind of its own! I managed to lean over and message my OH with my little finger while hanging on for dear life, not wanting any more stitches to drop off the wire or, allow any of the ones that were already enjoying their freedom, to run any further. Thank goodness for smartphones! I was holding my breathe. One wrong move and I knew I’d lose the lot. With the help of my knight in shining armour and a second pair of hands I eventually managed to get every dropped stitch safely onto a spare needle temporarily and breathe again. Phew! The task of actually sorting out the stitches in the pattern took a good couple of hours but all is well that ends well. No damage done. I’ve saved the bits of needles and will superglue them when I need them for a lighter weight project. 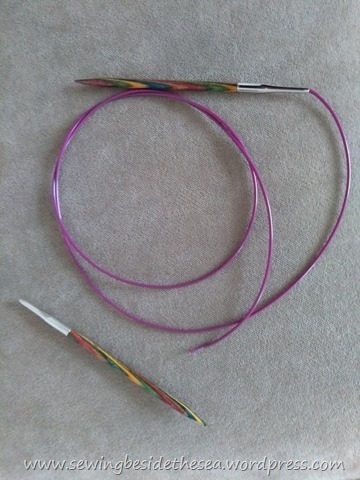 I’ve bought the same needles again, except in purple this time, and hope they hold together until I’m finished. I might not be so lucky next time. By now, if you’ve waded through all the above, you’ll want to see where I’m up to. As you can see, it hasn’t just been sitting in a cupboard for 20 months. I’ve been picking it up and doing a bit here and there during the colder months but can’t bear to sit under it and knit when it’s too warm. I’ll try to get as much done as possible before May….this year. 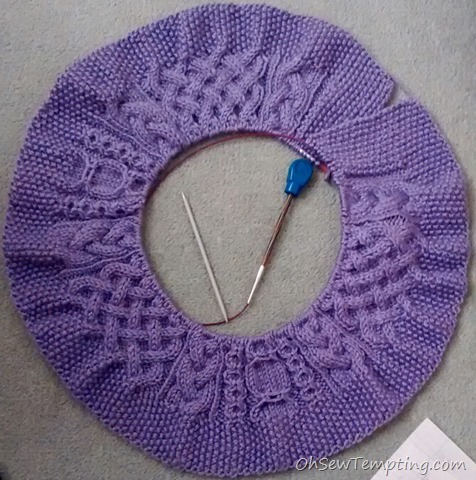 Do you have any long term knitting WIPs? I bet I’m not the only one. Almost three months have gone by since I last showed you my progress on the purple blanket here. This is where I’m up to now. I’ve just finished the 4th 100 gram ball of yarn so thought you might like to see it again. 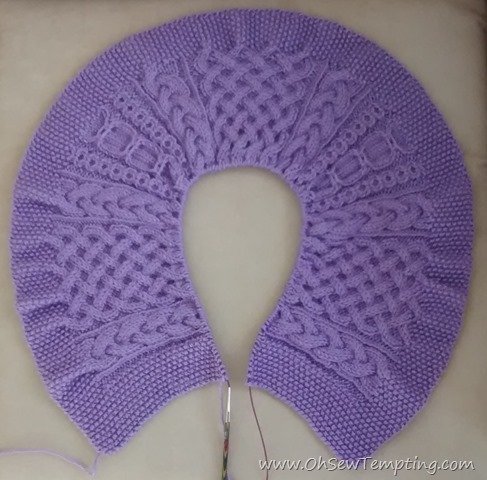 I will eventually make my pattern available to everyone but not until I’ve finished my own purple wonder. 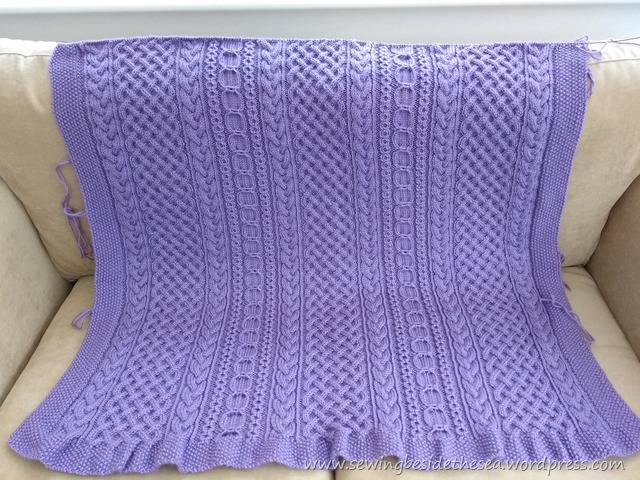 There would usually be no way I’d be able to knit this during the summer but our temperatures have only reached a maximum of 14 degrees C here until the last couple of days. Today we have a sizzling 17 degrees! I’m not complaining. I’ve got a lovely Aran weight blanket to sit under to keep me cosy while I knit. The last time I showed you progress on this blanket was at the beginning of January in this post. I’ve now finished the 3rd 100g ball and it’s growing slowly but surely. There are so many other things to do these days. The main problem with this project is that I keep spreading it out to look at it. That won’t get it finished, will it? It’s so good to have been able to do some more knitting over the holidays. Here’s where I’m up to now. Just a quickie post to show you how my blanket is getting on. I’ve almost finished the second 100g ball now and it’s already getting quite heavy and keeping me warm. There’s a long way to go. 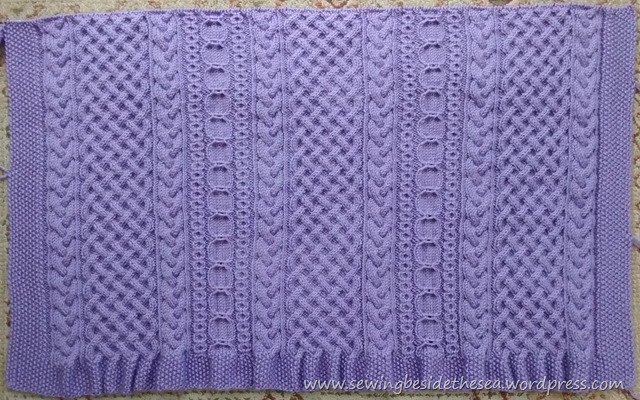 Just popping in to show you some progress on my purple blanket. I’m really enjoying knitting again. It’s starting to get cooler and darker here up north so it’s the perfect time to start knitting a new blanket. I love sitting under the knitting as it grows, keeping me snug on the sofa. This aran weight yarn was purchased a few months ago and I’ve at last decided what to do with it. It’s going to have a moss stitch border all the way around and the centre will be a selection of Aran patterns. I love knitting Aran patterns. Here’s where I’m up to so far.